Tired of clipping coupons or forgetting them at home? Great news! Community Connect Expo is here! Now you’ll have them right in your phone and ready to present at a moment’s notice. Save hundreds to thousands in your community everyday on concerts, sporting events, dining with click to call reservations along with money saving offers and so much more! Community Connect Expo is currently partnered with over 30 cities and we are adding more everyday! We are proud to have these cities as partners and to bring their residents and visitors the best businesses in those cities. Providing coupons, special offers, sales, events and maintaining contact with you, the customer! See if your City is partnered with us today! Participating with Community Connect Expo gives your business an advantage over the competition by efficiently and effectively capturing the attention or current and future customers! 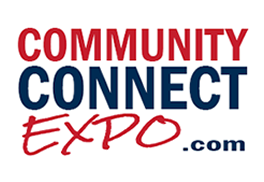 Want your business to be found on Community Connect Expo? It's simple. Just tell us a little about your business and we'll get started on adding your information into our directory.